Uncle Sam Wants You-to Own History! World War II was a pivotal turning point in U.S. history. It marked the rise of the U.S. as the premier world power and foreshadowed the coming Cold War with Russia. 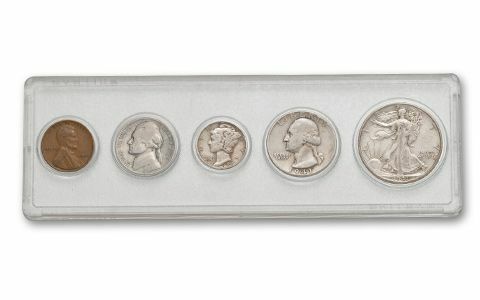 Now you can get one example of every coin year and denomination struck by the U.S. Mint during the war in this unique collection of five-coin sets. Each set features a Mercury Dime, Washington Quarter, and Walking Liberty Half Dollar struck in 90% silver. 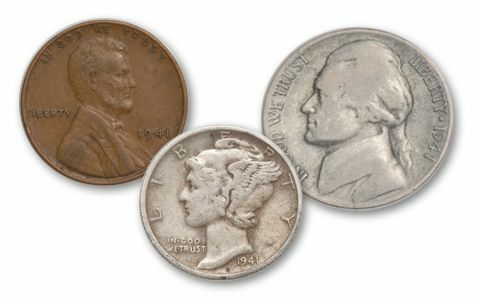 The 1943 set includes the Steel Cent-the only year a steel coin was struck for circulation. 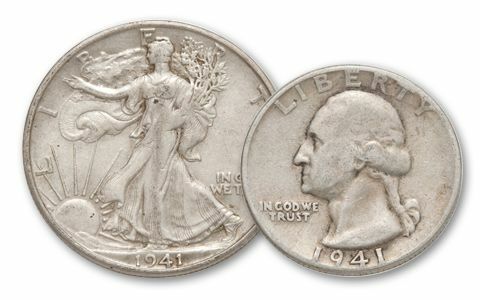 The 1944 and 1945 sets include cents struck from melted cartridge cases! Talk about holding history in your hands! All the coins are in Good or better condition, and each set comes in a hard plastic holder. 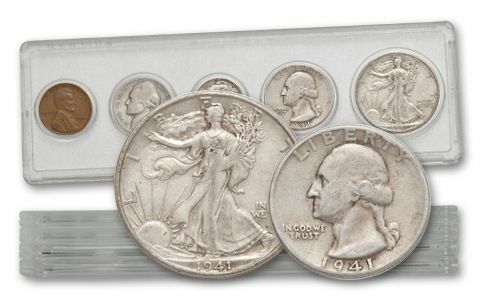 Get all five-including fifteen silver coins-all for only $9.16 a coin!